The Horizon EME CAD system is now live with Iqaluit Fire, providing prompt and comprehensive dispatch capability for the capital of Canada’s northern Nunavut territory. Iqaluit is the administrative capital of Nunavut, a vast territory of over 2 million square kilometers spanning several time zones. As the seat of government for the territory, Iqaluit is growing rapidly, and is home to many high-value buildings including schools, hospitals, and courts. 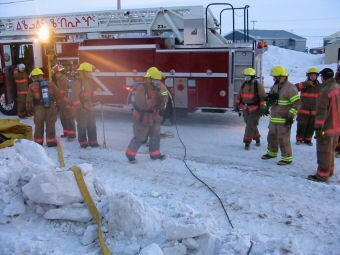 In addition to fire protection, Iqaluit Fire provides EMS/First Responder service to the city, and works closely with other departments such as RCMP and Public Works to provide comprehensive emergency response and management. The northern climate poses some unique challenges for providing fire protection, due to the permafrost and arctic weather that prevails for most of the year.